Friday, October 14, 2011: (108 MILE HOUSE) They broke out the branding irons at the historic 108 Mile House ranch to reignite interest in the Gold Rush Trails. 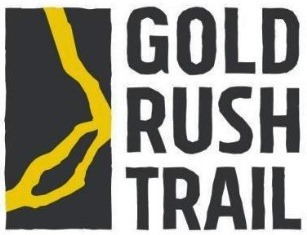 To reinvigorate the marketing of the Gold Rush/Spirit Trail brand, the New Pathways to Gold Society teamed up with the Cariboo Chilcotin Coast Tourism Association (CCCTA), which is took the lead in representing a posse of five tourism associations involved in the project. The Vancouver Coast and Mountains Tourism Region, Thompson Okanagan Tourism Association, Aboriginal Tourism Association of B.C. and the Heritage Tourism Alliance announced an agreement to work together on reinvigorating heritage tourism marketing along the trails. For more information, check out the NPTGS website News Section.